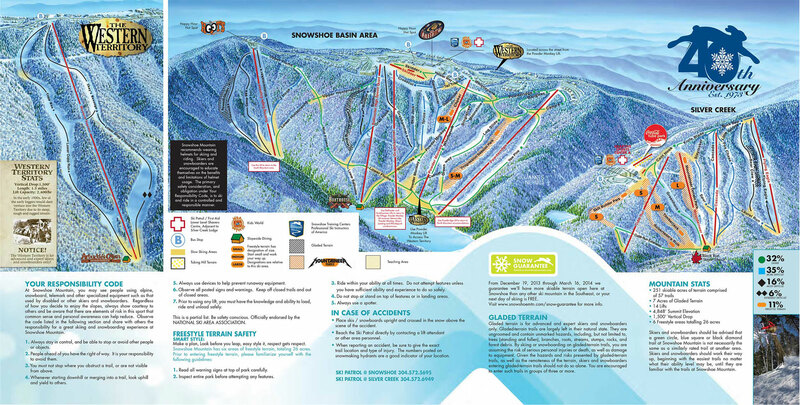 Welcome to the BEST location on Snowshoe Mountain! CLICK HERE to rent a Mountain Lodge condo now! Our BACKDOOR leads directly to the slopes! Conveniently located next to Snowshoe Village! You can't get any closer to the action! Mountain Lodge features 1, 2 and 3-bedroom Ski/Bike In/Out condos at Snowshoe Mountain, West Virginia – with beautiful views of Pocahontas County and the surrounding Allegheny Mountains. The Ballhooter and Skidder chairlifts, as well as both beginner and advanced trails, are conveniently located just outside our back door. In addition, Mountain Lodge is located just steps away from the Snowshoe Village, the place to be for summer and winter activities and events! Mountain Lodge offers a spacious lobby with a large stone fireplace that is a great location for a family gathering or to meet new friends. It’s a perfect place to hang out and enjoy our complimentary Wi-Fi Internet access, or simply enjoy a cozy fire on a cold, winter evening! Our lobby features plenty of comfortable seating and even a large checkerboard set! We also feature a projection screen TV atrium with nightly family oriented features; a video arcade offering over 30 classic video games and amusements; a children’s play area; exercise equipment; laundry facilities, Satellite DISH Network with multiple premium movie channels, complimentary wireless broadband Internet and gated private parking. 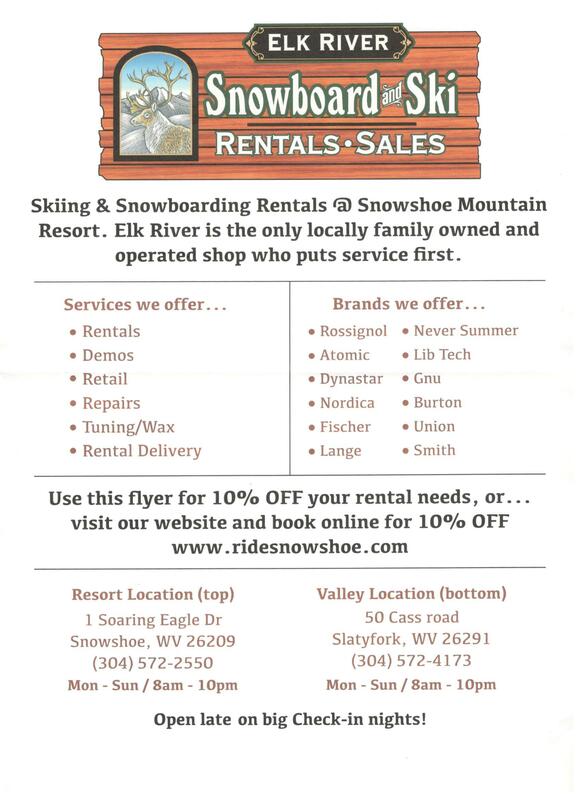 Mountain Lodge features everything your family needs to enjoy a comfortable and enjoyable visit to Snowshoe Mountain. We feature a seated “overlook” area on each floor – where you can enjoy beautiful views of the Allegheny Mountains and Shavers Lake below. For your convenience, a limited number of bike and ski lockers are available for rental. The guest service desk is open 24 hours in season to serve you and your guests with movie rentals, retail items, area information and a friendly greeting! It is up to you as the Ballhooter and Skidder chairlifts are conveniently located just outside our back door. In addition, Mountain Lodge is located only steps away from the Snowshoe Village, the place to be for summer and winter activities and events. Getting to the slopes couldn’t be any easier…our back door literally opens up onto the top of the Upper Ballhooter trail. Since Snowshoe is an inverted mountain, you don’t even have to ride a chairlift for your first run of the day. Simply walk out the back door and then ski/snowboard down the mountain. Now that is convenience! Take the Ballhooter lift to Shaver’s Lake for summer activities that include fishing, kayaks, canoes, paddle boats, swimming or just relaxing on the sandy beach. You can ride your mountain bike directly from the mountain entrance of Mountain Lodge accessing miles of trails and return on the hi speed quad chair lift and you and your bike are home again! Also, check out Snowshoe’s Event Calendar for a wide variety of summer events – from BBQ, to Yoga, to Dirt Bike Racing – Pocahontas County, WV is the place to be! Interested in staying in Mountain Lodge during your next visit to Snowshoe? Click Here for vacation rental information, rates, and availability.